No matter how you look at it, the business of buying and selling properties at or near foreclosure is not a happy one. However, it can be a mutually beneficial transaction for a willing investor and a distressed homeowner. Foreclosure is the flip side of the American dream of homeownership. It's a home owner's worst nightmare and can result in a lasting and devastating blow to personal finances. Foreclosure can wipe out the equity in a home. It can destroy personal credit for years and could mean uprooting a family from their neighborhood, friends, family, and schools. However, for a shrewd, and hopefully, benevolent investor, purchasing foreclosed properties can be a terrific real estate deal. The hope is that both parties to the transaction win by profiting from a timely transfer of title—which produces a good investment for the investor and divestment for the homeowner—and it might spare the home owner's credit rating before things get any worse. Profiting from foreclosures isn't the no-brainer many assume it to be—for each success story, there are likely five horror stories. Every real estate transaction involves risk. While investors with the very best intentions can help to reduce their risk, they cannot completely eliminate it. There are three ways to acquire distressed property, based on where the property lies in the foreclosure process. The three stages are as follows: pre-foreclosure, foreclosure, and post-foreclosure. Pre-Foreclosures: In the pre-foreclosure stage, investors will likely be able to do the most good for the distressed homeowner and for themselves. Pre-foreclosure is where further damage to the home owner's credit rating can be forestalled and the home may be transferred at a mutually-agreed-upon price before it is necessary to get the lender involved. The best potential leads to locate a property at this stage may come from attorneys, accountants, real estate agents, or through business associates and friends. Equity of redemption also should be considered. 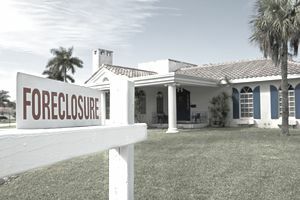 Foreclosure Stage: In the next phase, when a property is at the foreclosure stage, the best way to identify a potential property is through the County Clerk's office. Find out where the notices of default are filed and determine how to sort through the general index to discover pending foreclosure sales. You may also be able to request that your address or e-mail address be placed on an advance notice list or a list of pending defaults. Title insurance companies may also be of assistance in this area by providing recorded information in exchange for the expectation of future business. Post-Foreclosure: And last, at the post-foreclosure stage, the lender has already taken control of the property. The home is then in the possession of the lender's REO (Real Estate Owned) department, or in the hands of a new owner or investor who purchased the property at auction. Refer to the foreclosure notice to determine the name of the lender as well as the balance owed on the mortgage. Lenders are typically extremely willing sellers because an REO on the books is an obvious sign of having made a poor lending decision. Both the overhead and losses involved with an REO—reflected in both the added reserves a lender must maintain as well as any potential property management fees incurred—means the bank is likely a willing negotiator.